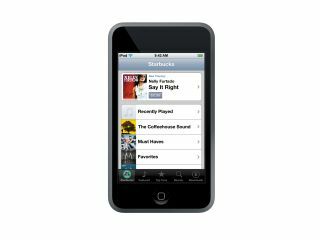 Apple's latest music player, the Apple iPod touch, has sailed straight into the top position on Amazon.com's list of best selling music players. Various models of the Apple iPod currently hold eight out of Amazon's top 10 best selling music players list. The Apple iPod touch is currently also the second most popular device on the list of best selling general electronics products. The figures from Amazon indicate that the iPod touch is a top seller. That's despite it being the most expensive iPod model to date, its low onboard memory and the fact that it's not due for release until the end of September. Although initial interest for the iPod touch seems high, the new Apple iPod nano is likely to overtake in the best selling model stakes. Previous models of the iPod nano have been very successful and the enhanced UI and video playback support on the new device should prove popular.